When selecting a long narrow skirt, choose the ones that’s straight at the hips, but slightly flared towards the bottom. 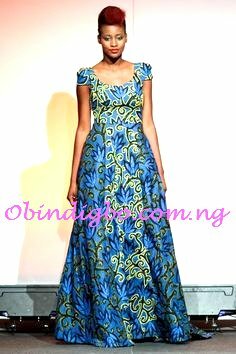 Long narrow skirts tend to be more flattering to tall slim Igbo women, and maybe overwhelming on a short, petite woman. Use bold accessories ( necklaces, bangles etc), and handbags to wear your long and flare skirts. Go ladies… It’s time to wear it LONG!! !